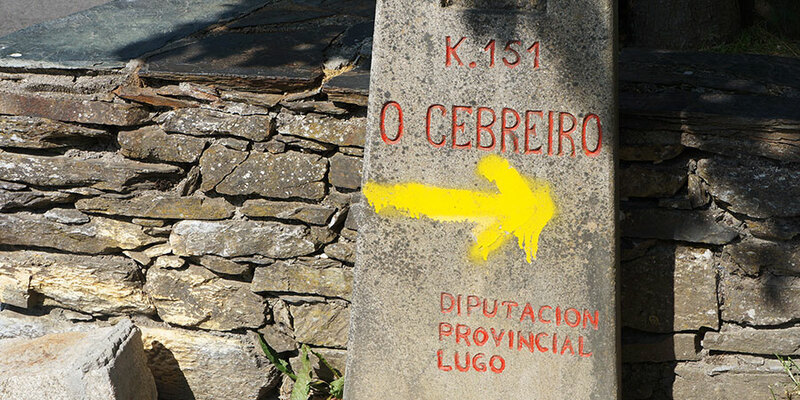 The name of Don Elías Valiña Sampedro might not ring any bells but you will certainly recognise his most ‘famous’ creation: the yellow arrow pointing the way along the Camino de Santiago. 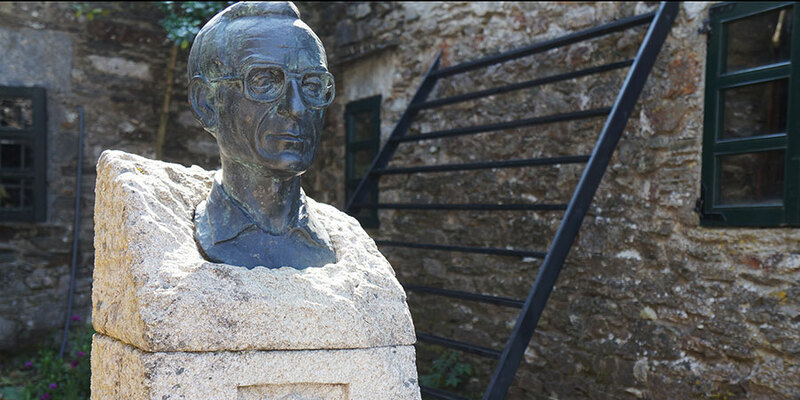 Don Elías (1929-1989) was the parish priest in O Cebreiro in Lugo and studied the history of the St James Way pilgrimage to Santiago in depth, writing many documents, articles and even a thesis on the Camino de Santiago for the University of Salamanca. 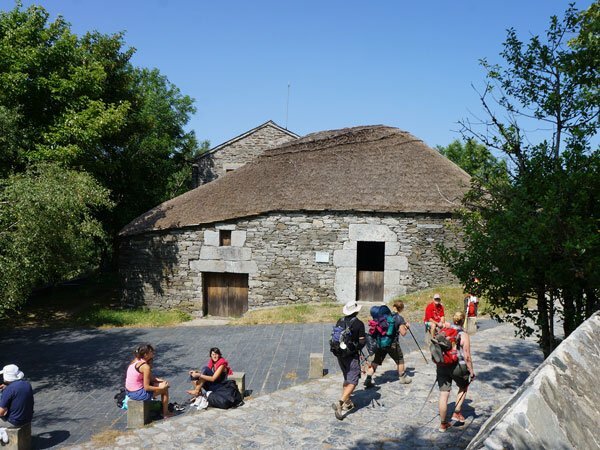 Don Elías was a bit of visionary and a Camino ‘pioneer’: after years studying the St James Way, he was convinced of the importance of this ancient trail and set himself the challenge of reviving the route we call the French Way. In 1984, he put in motion his mission to rescue, clean and mark the trails along Camino, starting in Roncesvalles, in the Pyrenees. He also started painting the iconic yellow arrows to indicate the right way at the various tricky crossroads along the trail. Legend has it that Don Elías drove across the whole north of Spain on his Citroën GS packed with yellow paint, painting arrows leading to Santiago. 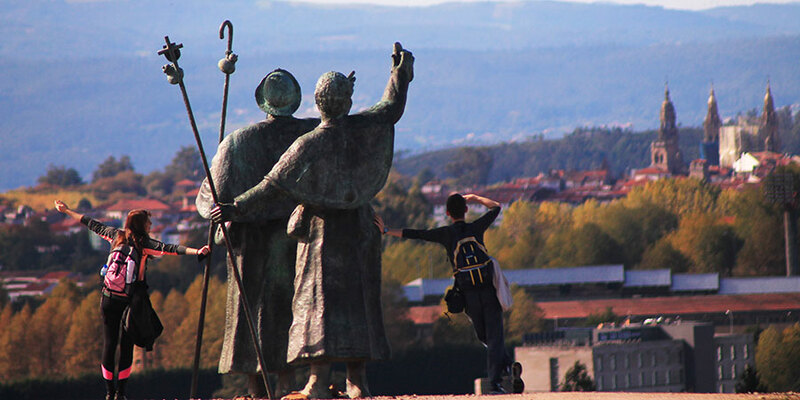 He also promoted the creation groups and associations to revive and maintain the different stretches of the Camino; and traveled to other European universities and conferences to explain the importance of the Camino de Santiago as a space of communication and understanding for people of many nationalities. So today’s walkers owe much more to Don Elías than just the yellow arrows helping them find their way, in fact. We probably owe him the fact that the Camino is still in existence at all! 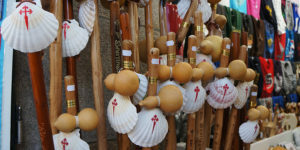 Along with the famous scallop shell, yellow arrows painted on trees, pavement, buildings, etc… mark the route for thousands of pilgrims walking to Santiago de Compostela every year. 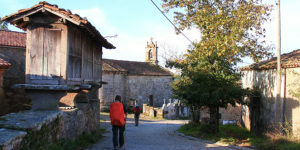 Walking and following the yellow arrows should be enough to get you to Santiago. 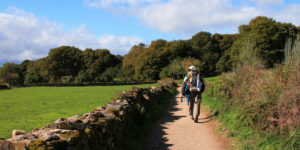 For more information about the Camino de Santiago routes or to book your Camino trip, contact our travel specialists.